Fernwood Urban Village is designed for comfortable, inexpensive and communal city living within easy walking distance of the urban heart of Victoria, B.C. This architect-designed collection of approximately 32 studio suites and one-and-two-bedroom condominum units will be a friendly, welcoming “pocket” neighbourhood for a group of individuals (adult singles, couples and empty nesters) who reside in their own private living spaces while sharing common facilities as desired or required. Cohousing is widely acclaimed as a smart, economical and socially progressive model of living for small and select groups of like-minded people. 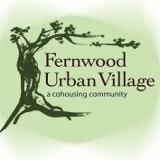 Fernwood Urban Village (FUV) is a member of the Canadian Cohousing Network (http://www.cohousing.ca/). It will be the first of its kind in Victoria upon completion. Four large lots have been assembled on the corner of Chambers St and North Park St in the lively, rapidly evolving and desireable Fernwood neighborhood in in in downtown Victoria BC. Encompassing 2/3rds of an acre one block removed from main street, this space gives us the opportunity to build a green and sustainable urban cohousing village using the best principles and practices of cohousing across North America. Mark Lakeman, the nationally known U.S. architect specializing in cohousing and infill, prepared the original building layouts. The detail drawings are in the hands of two well-known local architects sensitive to the needs of community. The FUV is located on the rim of Victoria’s urban core. It’s an easy walk to all of the city’s major workplaces and attractions – the Inner Harbour, the BC legislature, the central public library, Chinatown and shopping destinations like the Bay Centre and the funky SoJo district included. Lovely green spaces in Beacon Hill Park and along the Dallas Road oceanfront walking trail are equally accessible. Because of the proximity to services and downtown, the FUV encourages use of bicycles and car-share. While residents may own a car, parking spaces are designed to accommodate smaller energy-efficient vehicles. Sheds for kayaks and bikes are part of the common infrastructure. Fernwood Urban Village is taking shape under the guidance of six “founder members.” In cohousing terminology, we are a “forming community” doing the groundwork to see our vision through to completion. As of April 2010, this team has purchased the land and taken many initial steps to making FUV a reality. Architectural plans are being prepared based on the best principles and practices of successful cohousing communities across North America and Europe. The original building layout was created by Mark Lakeman, a nationally known architect from Portland, Oregon. Mark’s firm (http://communitecture.net) specializes in cohousing projects and urban infill. The detail plans are being drawn by two experienced and well-known Victoria architects. In order to proceed we must rezone our property. This is a long and involved process leading to Victoria City Council’s decision for a development permit by the fall of 2010. The engineering and technical drawings are then drawn in preparation for a ground-breaking ceremony in March 2011. If all goes as planned, FUV will be ready for occupancy by late summer next year. The four main buildings in the complex will feature a mix of studios, and one and two- bedroom units. The buildings face a large common square containing gardens and other shared spaces. There will be approximately 32 units. The heart of the village is the kitchen/dining/meeting area. Five days a week (Monday through Friday) meals will be available in the common dining room for those who wish. Residents can always choose between making meals in their own private living space or dining with others, community style. In addition to meals, anything will be possible within this bright, attractive common area - yoga classes, house concerts, workshops, social evenings, games nights, etc. Activities will be based on the interests and choices of we, the residents. Other common areas will include a lounge, laundry facilities, media/music room, sitting areas, greenhouses and terraces – again, all dependent on the desires of our community. Intensive vegetable and flower gardens are a planned component of the village atmosphere. These will be maintained by residents who have an interest in organic and permaculture methods. The sunny exposure and micro climate surrounding our location allows a variety of fruits and vegetables to flourish. Fernwood Urban Village is designed for mature individuals, couples and empty nesters who wish to live in community with like-minded adults interested in a green and sustainable lifestyle on Canada’s west coast. If you join the group via our membership application process, you will be living in a small, expertly designed “village.” Cohousing communities are naturally secure and supportive. While enjoying all the privacy they desire, neighbors get to know each other well and over time will share in each others’ joys and challenges. Social interaction in this friendly environment is natural and normal, not forced. Your visitors and relatives will be welcomed as members of our extended family. Most significantly, the character and day-to-day life of the village will evolve over time according to the interests, passions and pastimes of residents. Regular meetings will allow us to continually reach consensus and grow together as a community. FUV residents plan their own path. An official cohousing constitution is accepted by all, and is the basis of the rules of the complex. Legally, all units are strata titled, exactly the same as a condo or townhouse, with private titles (mortgageable) issued to each owner. A TBD percentage of the units will be available as rentals. We encourage people attracted to this lifestyle to meet and ask questions as the FUV takes shape. To join and become a member, a small non-refundable deposit is required. This entitles the member to partake in the decision-making process as well as having a choice of available units based on the order in which members sign up. Informal information meetings are freely open to all. Please note there are no age restrictions on joining. However the FUV is designed to appeal to people who are past their child-rearing years and are either living alone or with a partner. Cohousing as a practice, is old as civilization. It simply means sharing some public living space with other non-related people. The variations are endless. The modern cohousing movement started 50 years ago in Denmark and has evolved and adapted to many environments. There are rural farming community examples, as well as fancy cohousing lofts in New York City. The basis of each is the sharing of facilities, as well as the social networking arising from this. The FUV is part of a small but rapidly growing number of co-housing complexes around the world. These developments appeal to people who are seeking a genuine alternative to a typical single family home, condominium or apartment. Benefits include the rewarding interactions with neighbours as well as a natural sense of security and a lowered cost of living. AARP: The Magazine "Rethinking the Commune"